Imagine going to school for 8 plus years, paying hundreds of thousands of dollars to do so, finally graduating, getting a job, and find out your getting paid $50,000 less than someone who is your ‘equal’. This is an everyday occurance for women in the medical field. Though the schooling, intelligence, and job position are exactly the same, the pay gap ranges widely. It is obscure that this gap is present in every single specialty within medicine, except radiology. This raised my attention. Radiologist, Julia Fielding, was concerned about the dropping number of female radiologists. She decided to raise some awareness in efforts to push more women towards this specialty. She did this in three ways. 1) informing first year medical students early on about radiology, instead of how they normally are exposed to radiology, in their third or fourth year. 2) Exposing women to the importance of radiology in finding breast cancer, something that many women feel is important due to personal risk and family history. 3) Paying female radiologists slightly more than male radiologists and promoting better leadership positions for women. This is something women struggle with in the medical field and in fact a reason many women don’t enter the field; it is extremely difficult to obtain a leadership position as a female. Female radiologists get paid $2000 more on average than their male counterparts. However, this doesn’t seem significant when we see the $40,000 difference in cardiology, $60,000 difference in neurology, $80,000 difference in specialty surgery. So while Fielding is encouraging women to enter radiology because of the better pay, she isn’t recognizing the inequality. 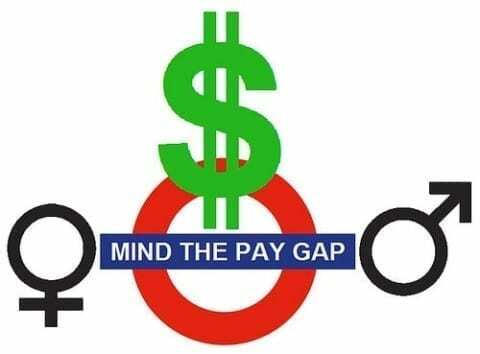 So why is it that we are seeing differences from $20,000-$100,000+ in male and female paychecks? Dr. Anupam Jena from Harvard’s Medical School sums up the issue to be a “clear discrimination by department chairs in salary settings,” meaning the people hiring new doctors are often a group of men. This goes back to my first point of it being difficult for women to obtain leadership positions in the medical field. This hiring position is done usually by a board of doctors in a specialty, and since this board is elected by promotions, it is majorly male. So, as a female walks into a room of five men and asks for a job, they stereotype her into being less intelligence and unlike themselves, so they offer her a lower pay. This is a major issue that can only be fixed by giving women leadership positions, like Fielding was attempting to do to make radiology more desirable. It is disappointing to begin a job and know that is the highest position you will ever obtain. People want to accomplish and move up in their careers, and when opportunities are slim for this, people change careers. Another issue brought up by Jena is that women are often not as aggressive when asking for a raise or trying to reach a leadership position. This at times can be true, but is often a result of, you guessed it, stereotyping. Women are often seen as more docile than men, and hence given a soft spoken, gentle image, even in the workplace. And, women are accused of ‘vocal fry’, the quieter, shakier, higher pitched voice that most women have due to genetics and physical anatomy. So, as a man walks in and asks for a raise, he is likely to get it due to his booming low voice, inherent confidence, and larger size. From the articles, we can infer that women are consciously or subconsciously paid less, not treated as equals, and not given as many leadership or promotional opportunities. Fieldings ideas about trying to equalize the playing field as well as introduce more women into a certain field is a great start. If we can give the same opportunities to both men and women and offer them comparable pay, then the women will feel less discouraged when trying to enter the medical field. Wage Gap in the Medical Field by Chloe is licensed under a Creative Commons Attribution-ShareAlike 4.0 International License. I agree with you that women should be paid equal to men, not only in the medical field but in any sort of work place. Women are capable of doing the exact thing as men in todays time and age. I find it interesting how women are paid more in the field of radiology compared to men but paid less in other fields. After all of the excruciating work and time spent going through medical school they should earn the same wages as their male counterparts.